In November, I promised a post about the best games in the Final Fantasy series. Though it wasn't ready before XIII's release, it's less than a week after, so I guess I can count that as a win. Once again, here are the rules that I set forth for not only this part of the retrospective, but as a whole as well. 1.) Unless stated otherwise, only the games in the main series will be analyzed. AKA, Final Fantasy 1-10 & 12. The main reason Final Fantasy 11 is not a part these lists is because I strongly believe that MMORPGs cannot and should not be compared using the same criteria as console games. They are two almost completely different things. So, the other 11 core games will be analyzed. 2.) If a list we create states "Best or Worst of," then the order is that of preference (least liked to most liked). 3.) This is a new rule that I'm adding specifically for this post: Remakes/Re-releases are not eligible for analysis. Original releases only. So, here it is. Ending B's "Best and Worst" of Square-Enix's Final Fantasy series. The results are a combination of my votes along with the votes of others who are either members of Ending B or are affiliated in some way. The opinions on why the games got the ranking they did are mine alone. One more note should be that this review may contain spoilers (just an FYI). A special thanks to Kim Samson who put this picture together on such short notice. 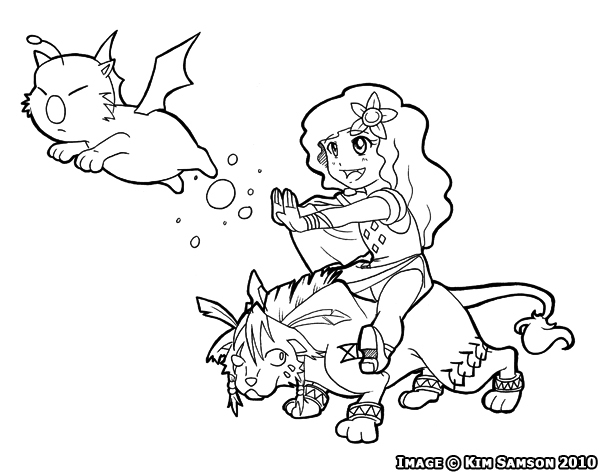 You can find more of her art on MHHO.com or on her deviantART site. I've had Final Fantasy on the brain for a while, and one thing that I absolutely love love about the series is the music. Up until the more recent titles (aka FF12), the music has been composed by Nobuo Uematsu, and, despite what I think about each game, I loved the soundtrack for each one. Here are the rules that I set forth for not only this part of the retrospective, but as a whole as well. 1.) When talking about the best and worst aspects of the series, one part will be chosen per game to explore. So, for the music retrospective, one song will be selected from each game. 2.) Unless stated otherwise, only the games in the main series will be analyzed. AKA, Final Fantasy 1-10 & 12. The main reason Final Fantasy 11 is not a part these lists is because I strongly believe that MMORPGs cannot and should not be compared using the same criteria as console games. They are two almost completely different things. 3.) If a list we create states "Best or Worst of," then the order is that of preference (least liked to most liked). In others, such as this one, the order is simply chronological. The theme to "Coneria Castle" in FF1 is a calm serene piece of music. True, it is the same motif in repetition, but you have to keep in mind this was originally written for the NES, so they didn't have the space to write something too complicated. This particular version is from the Playstation remake, and I think it has more of a Medieval feeling. Final Fantasy XIII - Soundtrack Fun! Hey all! 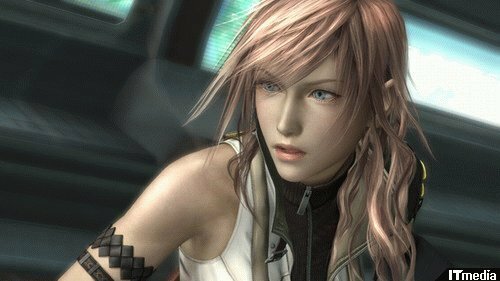 Some of the Final Fantasy XIII soundtrack pieces were released late October. I thought I'd share some of my favorites. As you can probably tell, this is the main character's theme. It's pretty (lots of piano, so I think Ed will like it). While looking for a trailer video for my previous post, I stumbled across these Final Fantasy (I'm assuming fan made) parody videos of some animes, and I thought I would share some of the better quality ones with you. In all honesty, I have no idea what this is parodying (all I could gather is that they're doing something called a "Becky Dance. "), but it's the ladies of Final Fantasy VI doing a cute little dance. - A list of "core" Final Fantasy games listed from worst to best. - Best spinoffs and sequels. Stuff like that. I hope to get more of the Ending B crew involved in this to get involved in this to get a more complete and less biased compilation. 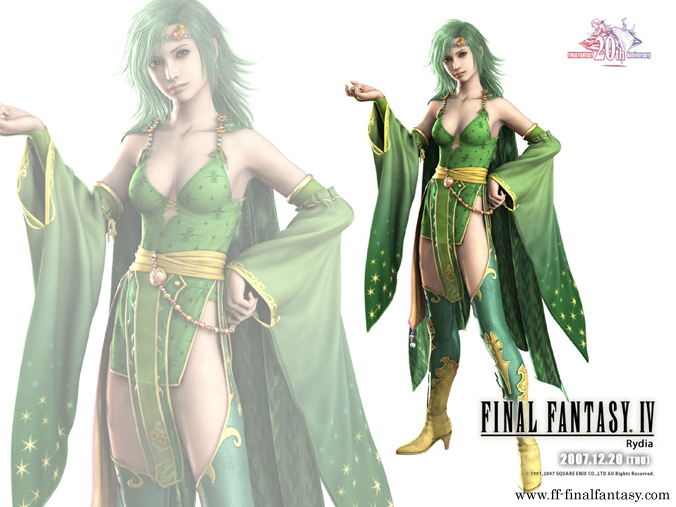 In the meantime, please enjoy this trailer for Final Fantasy XIII. Yes, it's in English, I know. But I found when reading the subtitles, I couldn't concentrate on the pretty pretty graphics. Today, the sequel to Final Fantasy 4 came out today. I took a little bit of time to glance at the game, and here are my initial thoughts. 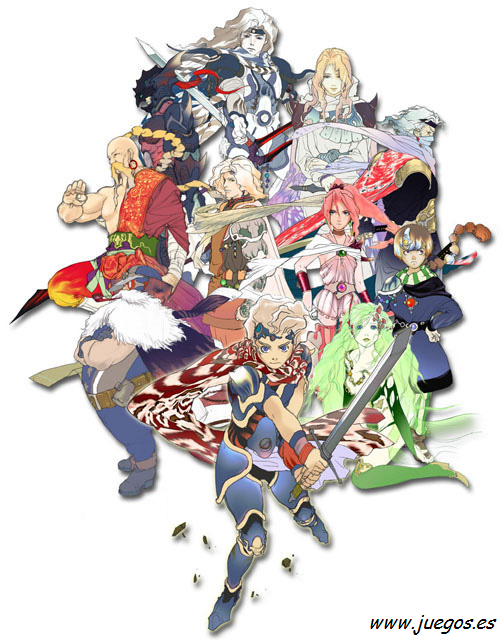 In the front is Ceodore, the main character, along with the returning main characters from the original game.